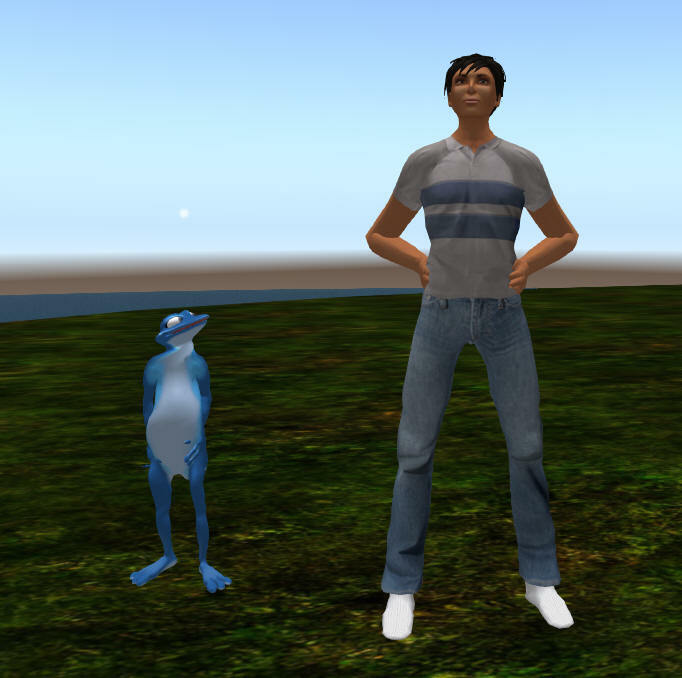 Second Life avatars early on were based on an underlying custom mesh (Poser like) with the basic body shape, skin texture, eyes and basic hair. Then a range of “layers” to add clothing and the textures could be applied to them. Plus a set of “attachments” which could be of a wide range of 3D object types to add hair, hats, spectacles, shoes and so on. These attachments could include scripting using the “Linden Scripting Language” (LSL) to allow for a wide range of effects, behaviours, triggering of morphing, animations, sounds, texture changes, etc. Each avatar also can have a range of “HUD” elements that attach to the user interface in the browser to give controls, meters and so on. 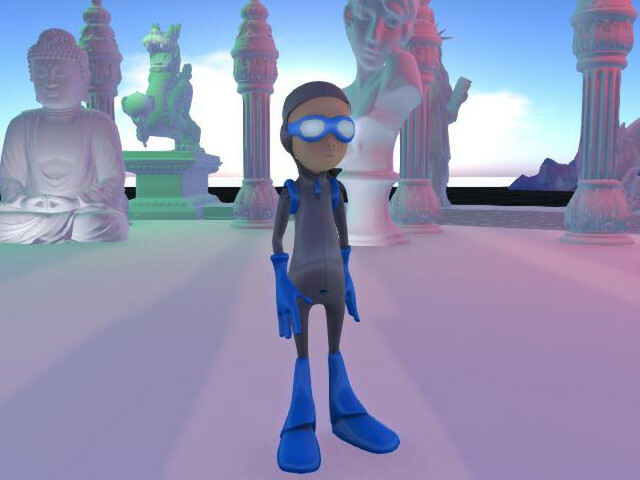 The whole avatar as set up can be saved as an “Outfit” and hence easily changed from one to another in the virtual world viewer. “Rigged Mesh Avatars” have been used in Second Life and OpenSim for the last few years and allow replacement of the default avatars used in these virtual worlds. 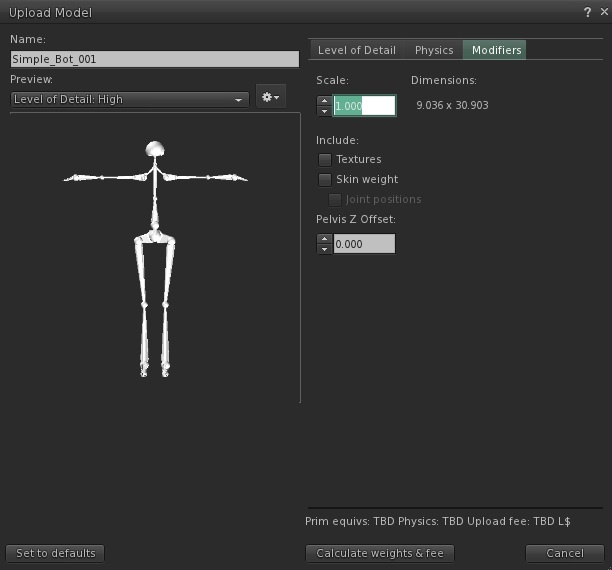 Mesh avatars can be created in normal 3D modelling tools such as Studio3D Max, Maya and Blender, “rigged” with an underlying skeleton and joints, and then exported as a Collada (.dae) mesh. If this is uploaded to Second Life or OpenSim it can be “worn” along usually with a complete alpha texture layer to make the underlying base avatar shape be completely transparent. However, the shape and size of this underlying base shape is used to compute physics collisions and interaction with the ground – such as determining the level of the feet with respect to the ground. Four good example mesh avatars, available as open source, along with tutorials to help users create them and variants are available. 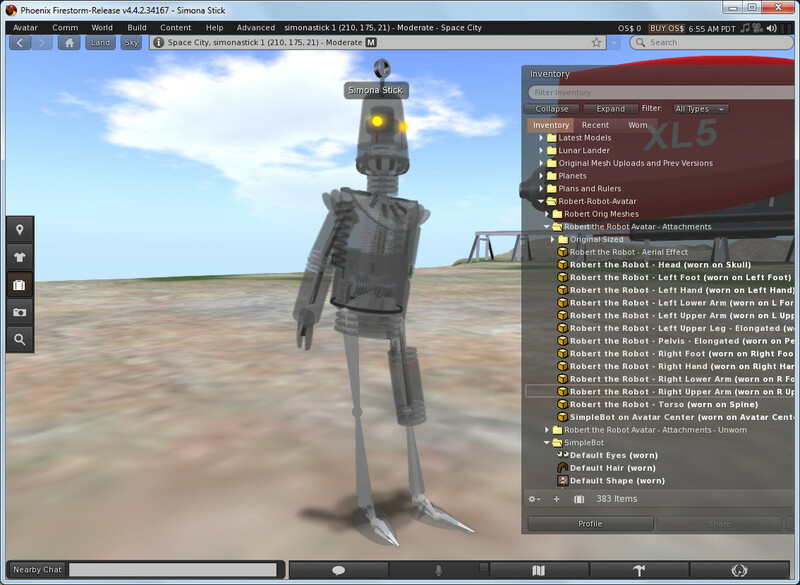 SimpleBot is a Linden Labs Second Life tutorial and simple rigged mesh avatar.. useful to act as an underlying bare bones core onto which other elements can be added. Seymour is a Linden Labs Second Life tutorial of a rigged and textured mesh avatar. 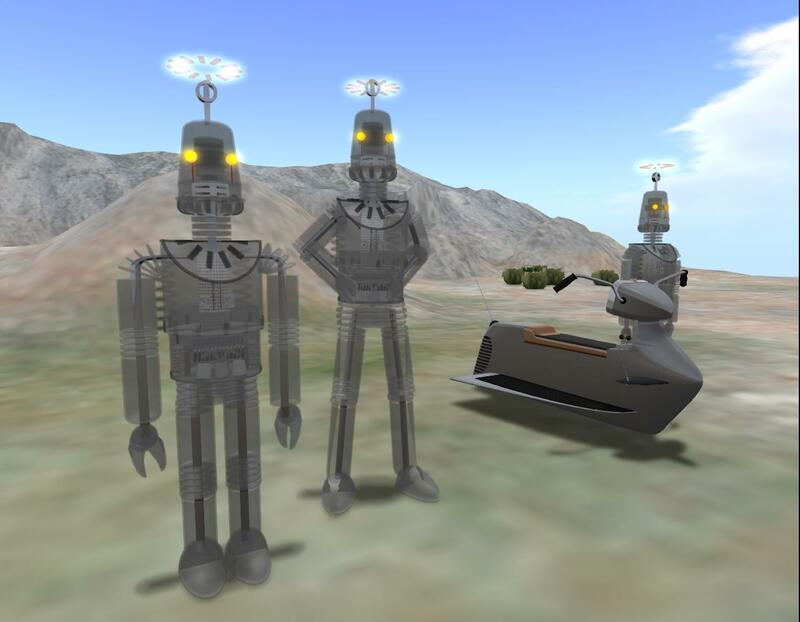 Image of “SimpleBot” upload panel from Linden Lab’s Second Life Wiki. Image of “Gerrymander the Lizard” and “Boy Next Door” avatars from Fred Frederix Gerrymander tutorial web page. “Seymour”, “Sintel” and “Robert the Robot” images by Austin Tate. This entry was posted in OpenSim, Second Life, Virtual World and tagged Avatar, Mesh, OpenSim, Second Life. Bookmark the permalink.